Just how much can programming your thermostat save you? If you set your thermostat about 1 to 2 degrees lower than the normal temperature you keep it at in the winter months, you can see up to 3 percent savings (sometimes less) on your energy bill. Say that your energy bill is normally $100. That’s going to be $3 per bill, but you may not even realize the difference and you may not even be home—or you could be sleeping and truly not feel the difference, but still see the savings! If you want to see even more savings, consider the difference 10 degrees might make. If you were to be gone from the home for about 8 hours and turned the temperatures way down during that time, you could save as much as $10—or more…in other words as much as 10 percent of your bill. You can see how minor changes, that you can set automatically and never even have to think about, can really add up. That’s the value of a programmable thermostat. If you don’t already have a programmable thermostat, be sure to ask us about your options. You want to get a programmable thermostat that is compatible with your current heating and cooling system. Some also don’t have as many options as others. In some cases, you may want a smart thermostat which has even more options for your home or building. A 7-day programming schedule is ideal if almost every day of the week has some variation for you. Do you work every other day or are the kids only at preschool for part of the week, for example? With a 7-day programming schedule, each day can be individually programmed to reflect the changes in your schedule. 5-1-1 programming is designed for people who have pretty recurring schedules Monday through Friday, and then an individual plan for Saturday and for Sunday (2). 5-2 programming, as you can imagine, is also built on a 5-day normal schedule and then treats the weekend days (Saturday and Sunday) with the same heating/cooling plan (2). The one thing you want to remember is that you may “set it and forget it” but you’ll likely want to revisit these programs when the seasons change (2). Now that you know the right way to program your thermostat, you can get the benefit that many people are missing out on. 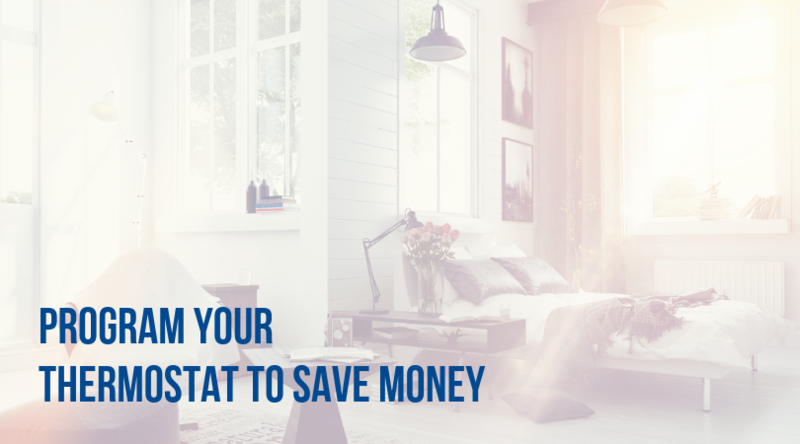 But smart thermostats can also help you save even more money. Ongoing learning and adaptation. With a programmable thermostat, no matter what your actual behaviors are, the thermostat will stick with the schedule. But a smart thermostat can see your behavior—say, when you regularly leave and return to the house—and can adjust accordingly. That means you have flexibility and efficiency working in your favor at all times. Ongoing monitoring for real-time accuracy. Smart thermostats are so “smart” because they monitor your usage and collect data. If and when you want, you can see that data and tweak your settings as desired. Always-on. Smart systems are always working for you, even when you are away. Since the can switch to a setting any time you are not home, you have guaranteed savings at all times (1). We’re here to help you with HVAC maintenance, repair, service, and install. With over 60 years of experience, our highly trained technicians bring our special brand of expertise and customer service to every job we perform. Schedule service online or give us a call at 859-491-4915 for 24-hour emergency heating and AC repair and service.